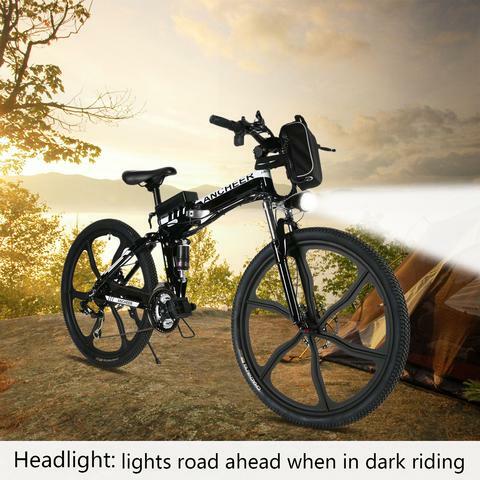 Planning to buy an electric mountain bike? Well, if you have ridden a regular bike so far, you need to remember that riding an e-MTB is a bit different. If you have not done mountain biking much or at all, you may have to learn some basic skills. You will first have to learn how electrical and human powers work together in an e-MTB. You will have to get used to the specific motor sensors of your electric mountain bike, and to learn how delayed or sudden its power is. It’s important to know how much pedal pressure and crank rotation is needed to start the sensors to allow the power to flow. Keep in mind that the sensors are only switches; they don’t know what you want. Before you can actually rally an e-MTB through the technical trails with the freedom and flair of a traditional mountain bike, you will need to take the time for getting a feel for the way the power modes react to the pedals. Understand how you feel the power in a low-risk off-road area, such as a playing field or empty park, where your mistake won’t lead you in a hedge or ditch. How and where power is applied by the motor will hugely affect the way you ride the bike in particular situations. Though this may sound complicated or difficult, it actually isn’t. Learning these nuances will bring you big rewards down the road whether you ride on uphill, flat or down dale. The motor of an electric mountain bike has several settings to adjust levels of power delivery. For example, your bike may have settings to get maximum mileage from minimum electric power as well as to get maximum electrical assistance. This makes the battery work much harder and reduce the overall available range of the bike. Don’t be shy to choose any of these, because although we want the former, in reality we choose the latter and immediately love the speed. Several people want to stick in the latter mode. But use the other less power greedy modes when the road is smooth or gravity is helpful for you to roll. Since the life of the latest batteries is quite decent, most e-MTBs having a full charge will do a rolling trail ride for a couple of hours in the highest assistance mode, infrequently flicking down to a lower mode. So, take the pleasure in full gas experience. Learning to ride an e-MTB is a great fun. Enjoy learning and then actually riding the bike will be even more fun!